There's something about prose that ties us all together in the most intimate of ways. We seek out these lines to tell our story or to hear it reflected back to us. It's an outlet. It's self expression. It's soul baring truth and painful realities. It's hope. Jessyca Thibault is one of the newest voices building ground of her own within the community and with the successful releases of "doll eyes." and "glass girl." I have a feeling readers will be hearing her name a lot more in the future. 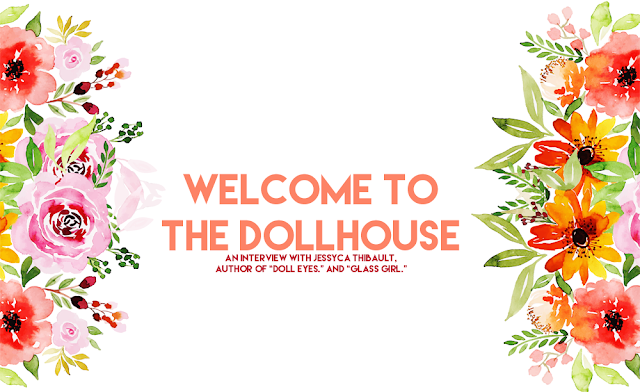 I recently had the opportunity to have a quick chat with Jessyca Thibault, who I admire greatly. During the course of this interview we discussed the poetry community, what writing means to her (and what her writing process is), how old she was when she began writing, who we have to thank for giving her an extra push when it came to self-publishing, what her mother almost named her and where she draws the most information from. Amanda Lovelace does it again with her latest collection. To Make Monsters Out of Girls is her most revealing offering yet and that's saying something, given Lovelace's knack for diving straight into the more intimate parts of her thoughts. This, of course, is what makes her work so beloved in spite of her newcomer status. Amanda Lovelace continues to make a name for herself and I have a feeling she's solidified her position as one of the most well-liked poets of our time. Armed with the same sort of raw, urgent honesty that her prior two collections showcased--Lovelace's voice has truly come into her own and once more she hits the nail on the head when it comes to the more sensitive topics of life. In To Make Monsters Out of Girls, she focuses on a dark spot in her life--during her time in the shadows, she slowly but surely finds her strength and is brought back into the life. She puts great emphasize on her past but an even greater one on her future. 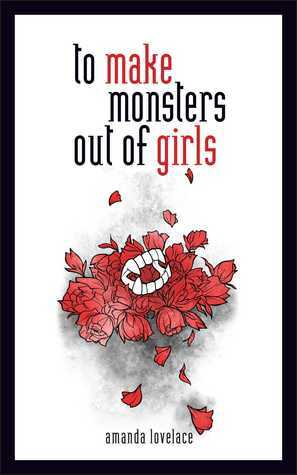 While all three of her collections focus deeply on the good and bad, there's something especially painful but striking about the honesty behind every line in To Make Monsters Out of Girls. I purchased the special edition from Target and I'm glad I did, because there was an added bonus to it. Anything extra in poetry is honestly a blessing and I so rarely use that term in a serious way. Katharine McGee, you just slay. You actually destroyed me. In a fun, glamorous way that I would totally allow at least a thousand more times. First of all: WOW. I cannot believe the series is... over. I adored it! It was so very fun and nostalgic; reminding me of that simple time as a pre-teen/teenager where I spent a great deal of the year in anticipation for Gossip Girl and The A-List to have new installments published. 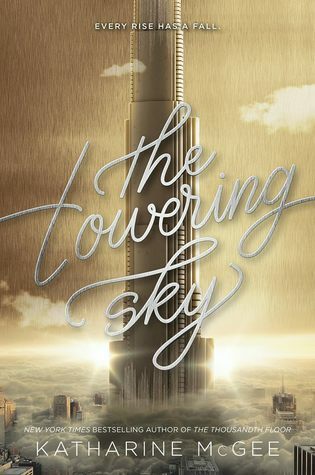 The Towering Sky was just as thrilling and seductive as the previous two installments and probably one of the funnest releases this year. While so many series lose their dazzling factor long before it ends, The Thousandth Floor has never lost its. This is entirely due to Katharine McGee's hypnotic prose, fascinating worldbuilding and ability to write teenagers who struggle with their lives, even in all that decadent privilege. No matter how futuristic The Towering Sky, and its predecessors, is--the dramatic comings and goings of elite teenagers is just the same as they've ever been. Breathtaking, mesmerizing and utterly heartbreaking. A Girl Like That is bound to be one of the most loved contemporary releases this year and for good reason. Armed with a sort of cattiness that you'll only find in teenagers, this is a story worth looking into because it rings true to real life. Bhathena captures youth beautifully and embraces all its complexities, crafting a witty and vicious coming of age story. It's bittersweet and captivating, something that you simply cannot put down. A Girl Like That is truly and completely special. And because of the subject matter of this book, it's not going to be for everyone. There are a lot of trigger warnings I should specify: sexual harassment, abuse, death, drug abuse, bullying and more. As always, take care of yourself if you find any of the above mentioned subjects triggering. Needless to say, a lot is tackled in the pages of A Girl Like That and each topic is very important to discuss. Bhathena doesn't hold back in her portrayal of each and will certainly hit you straight on with emotion. She handles each topic as carefully, yet honestly, as a good writer should--showing us that she has a very promising career ahead of her. This was one my most anticipated reads this year. Yes, I am perfectly aware that it was published before this year. However, it was new to me. Ever since I was a little girl, I'd been intrigued Princess Margaret in spite of the fact that I'd never been too interested in the lives of royals. I found Princess Margaret to be utterly glamorous and a little rebellious and proper I knew very little of her beyond the persistent rumors of her rudeness and what history has shown us of her in photographs. Like many people, I've grown more and more attached to her history in recent years due to the fresh portrayal of her on Netflix's The Crown. At first, I assumed that this book was setting out to be an uniquely formatted biography. 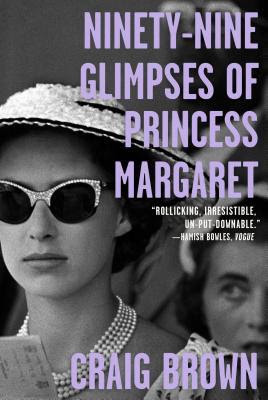 Ninety-Nine Glimpses of Princess Margaret was not at all what I expected it to be and I am on the fence about it. The only things I am certain of are these: (1) I still am intrigued by Princess Margaret and (2) Craig Brown's prose is fantastic. Princess Margaret was truly an enigma. Almost everyone in the world has, or had, an opinion on her. I longed to have a better understanding of who she was as a person; the good and the bad up until her death in 2002. I think to a degree I did learn quite a lot about her throughout the course of Ninety-Nine Glimpses of Princess Margaret, but there were a lot of moments that felt either repetitive or annoying due to their fictional nature. Have you ever felt almost betrayed from a book? 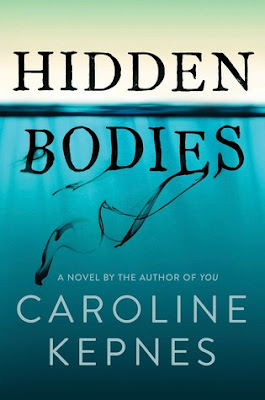 That's the only way I can describe just how I felt about Hidden Bodies, the highly anticipated sequel to You. Admittedly, I am a little late to the party when it comes to Kepnes' bestselling duology but when I read You earlier this year, I was blown away by the subtle creepiness in it. One of the things I loved most about You was the fact that it made me feel so unsettled and on the edge of my seat. Throughout the course of the book, I wanted to crawl out of my skin in the best way possible. 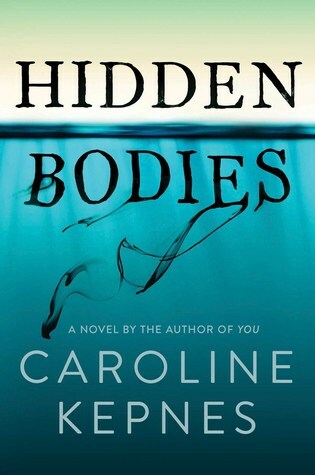 There was no doubt in my mind that I had to get my hands on Hidden Bodies. About a quarter of the way through this sequel, however, I felt my interest dwindle almost entirely. Kepnes' writing has grown stronger in terms of prose, however, there was a bit of a standstill when it came to the plotline of this book. I felt like Joe was arguably a different character--there was still that little kick of murderous madman in his blood but he also appeared to be a little more romanticized in this. And I hated that. What made You so enjoyable was the lines blurring between Joe's violence and his almost serene sense of romance. In this novel, it felt like the writing was trying too hard to excuse his actions and that's just not something I can get into. It's gross. It's unwelcome. Before you guys say anything... I didn't hate this book! At all. Would I reread it? Doubtful. Would I have liked it as a teenager? Absolutely. Am I giving some serious props to the author, who was literally a teenager when she wrote this? YES. As far as plotlines go, The Kissing Booth is as sweet as can be--it's straight forward and highly out of my age range at this point. It's your typical teenage rom-com in the form of a book and you have to appreciate it for what it is, which is merely fun. I watched the film adaptation of it before reading it, which was fun (and flawed) in its own right. The movie sparked enough curiosity in me that I picked up a copy of the book pretty soon after. 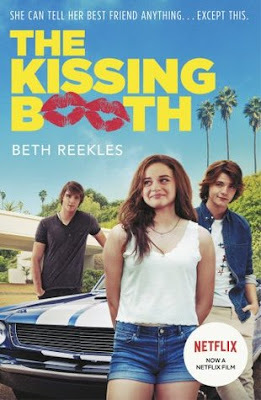 The Kissing Booth is one of those rare adaptations that keeps the essence of its source material pretty well but also makes it into its own story. Something you'll notice about Beth Reekles writing right away is that she is a sweetheart. You can just tell. And this shines in lead character, Elle. It's striking how much these kids seem like actual kids and this is entirely due to Reekles herself being so young when she penned this romance. Everything in it felt pretty genuine in terms of coming-of-age and first love stories and Reekles age both showed and didn't throughout The Kissing Booth. Forget everything you know about the infamous villain in The Little Mermaid. While this book took a bit of time to get into, its groove not especially found straightaway, it was haunting and quite intriguing once I really got into it. 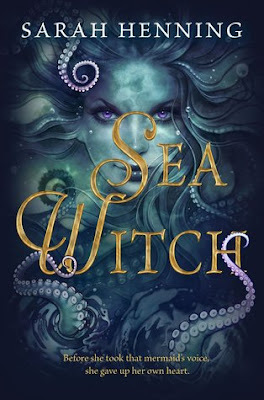 Sea Witch is an interesting spin on the classic tale and it offers up a fresh and new take on the mythology behind mermaids. Sarah Henning clearly put forth a lot of work in crafting this tale and I found it to be quite enjoyable for many reasons. I will warn you guys: the first... let's say 35% of the book wasn't the greatest. There wasn't a lot going for it. I had my reservations about whether or not the story was even compelling enough to continue. Despite its flaws, and the general slowness to it, there was still something drawing about Henning's prose. I do love mermaids and I do love a good retelling. Sea Witch is just that--a good, but not great, retelling. That being said, there were a lot of qualities I liked about Sea Witch. The dreary tone, for example, really added a nice layer to the storytelling. It was not dreary in a painful way, but in an almost captivating and matter of fact way. You could almost see this story playing out on screen with an almost blue and gray contrast to the films colouring. I don't know if that makes sense, but I did dig it a lot. Because one of Sea Witch's strongest suits was its atmosphere. 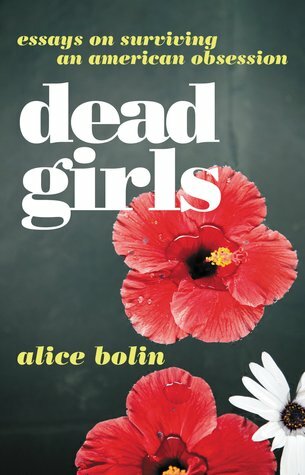 Alice Bolin's offering of Dead Girls is a solid debut. It's surely an interesting and complex read that analyzes the ever-appearing dead girl trope. Yet, it's also something I am of two minds about--which has been happening fairly often for me this year. You know when you read something and you're partly like, "Yeah. I liked this a bit." and still a bit, "But I kind of didn't like this, either. "and it's just all very... puzzling? That's how I felt when finishing Dead Girls. From an academic standpoint, every essay reads exactly as Bolin meant for it to. Highly intelligent and thought-provoking, Dead Girls really and truly gives some great insight to the title topic. Yet, the flow of each essay seemed almost a bit misplaced--and the collection itself felt quite like it wasn't marketed quite like it should have been. As someone who seemingly questions everything, I really enjoyed the criticism that Bolin brings forward on who we are as a society and what we give the most attention and coverage to. Do yourself a favor, and check out this book. ASAP. 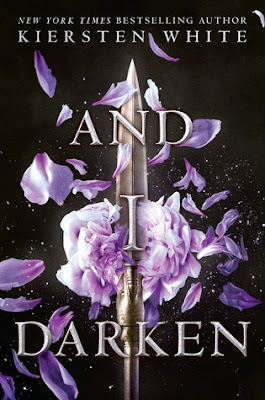 I don't normally start my reviews with statements like that but And I Darken is bound to be the exception to my rule. Ditch all thoughts you might have about what this book may be like. It exceeded even my wildest dreams and, while it had some flaws, this is entirely due to the pace Kiersten White maintains during all 475 pages. Not only is her worldbuilding vivid and striking, her characters are developed in strength, wit and viciousness, and the plotline is incredible. Darkly enticing, the very definition of alluring, it signals what is sure to be a standout series and I'm so sad it has taken me so long to pick it up! And I Darken reads less like a YA book and more like a standard fiction/fantasy novel, albeit a little cleaner cut. White has a prose that stands out amongst many YA authors (this isn't to say that YA is bad writing, mind you) for its crisp and full of life intelligence. Marked by its premise as a re-telling of sorts (Vlad the Impaler, for example, is now a young woman named Lada) it still feels like its own story. Before I picked up Undead Girl Gang, I had a pretty good idea on what it would make me feel. I was either going to adore it or despise it. 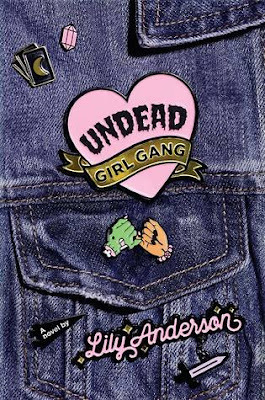 Fortunately, I adored Undead Girl Gang and was completely captivated by it. Lily Anderson really held nothing back with this book and I appreciated this immensely. Not only was it an incredibly compelling and magical mystery-thriller, complete with just the right dash of humor and romance, it was a pretty accurate look at, well, life. And death. And all those little moments in between. As a whole, Undead Girl Gang hit all the right notes for so many genres I cannot begin to explain. Secondly, it was a truly unique coming of age story that will leave readers on the edge of their seat. Anderson gets really creative both with her prose and characters, the premise only grows more and more enjoyable as the story unravels. 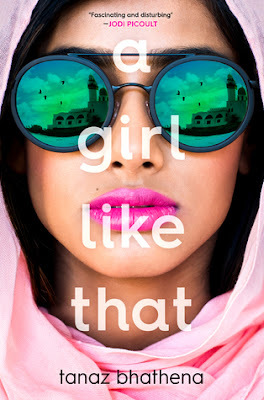 If you are a fan of contemporary YA, this book will be right up your alley. If you aren't typically a fan of these types of story, the supernatural elements and dark humor will satisfy your desires for something more. Most importantly, you'll love the characters and the bonds they form in unlikely circumstances. Undead Girl Gang gives off the impression, at first glance that it could be one of two things. (1) Just a simple slasher novel, with a ghostly twist or (2) A ZOMBIE TALE. It's neither of those things but also, kind of, something that takes tropes from both of these. We meet our main character, a teenage witch, Mila, quickly after the quick, unexpected, deaths of her best friend and two other classmates. "Life is beautiful and life is stupid. As long as you keep that in mind, and never give more weight to one than the other, the history of the galaxy, the history of a planet, the history of a person is a simple tune with lyrics flashed on-screen and a helpful, friendly bouncing disco ball of glittering, occasionally peaceful light to help you follow along. Cue the music. Cue the dancers. Cue tomorrow." For many years, I'd heard nothing but rave reviews when it came down to Valente's prior releases. Immediately, I saw in it just what everyone had been saying all along--she's got a beautiful prose. In truth, Catherynne M. Valente could probably write about an orange being set on fire and thrown into space and it would still sound so much more stunning than most of her peers. For me, Space Opera was gorgeously executed with a highly captivating premise--it just wasn't entirely my cup of tea and, at times, hit some slower points. 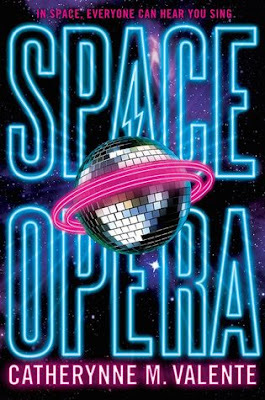 This isn't to say that I didn't enjoy Space Opera. I really did like a good chunk of it! The start pulled me in, but somewhere about 25-75% of the way through I felt myself losing interest. Then, right around that 75% mark, it picked itself up again. Still, Valente's writing is what made me keep up and continue on--it was much less about her skills as an author and much more about my inability to connect with the story for one reason or another. So. How does one describe Tiffany Sly Lives Here Now in a single word? Remarkable. This book is truly and completely a remarkable, thought-provoking, heart-wrenching, and at times stomach curdling, read. Dana L. Davis really knocked it out of the park with this one and left me in shambles by the time the story reached its end. Every year, I feel like there are less and less books that are able to actual evoke genuine emotions from me. 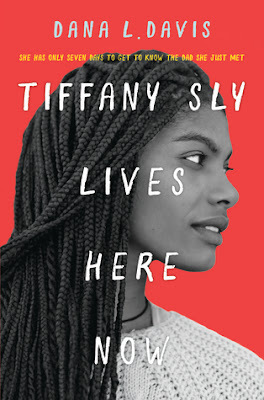 But, Tiffany Sly Lives Here Now quite frankly owned me from the very start and was so, so gripping. I will never forget this book. Ever. It is truly an impossible to put down read. Even moreso, it's an impossible to forget novel and one of the best debuts of all time. When I was younger, the first time I remember reading and having a good cry over a book was Candle in the Wind by Maureen Crane Wartski and The Girl Death Left Behind by Lurlene McDaniel. Last year saw the very emotionally charged releases of Dear Martin by Nic Stone, The Hate U Give by Angie Thomas and They Both Die at the End by Adam Silvera. 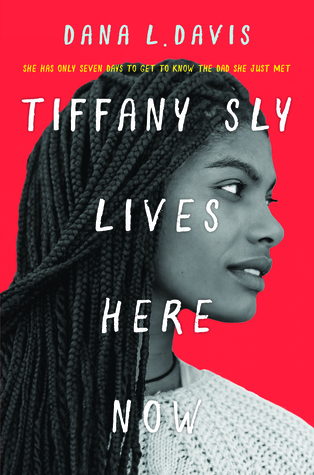 Tiffany Sly Lives Here Now joins the ranks of these books in the sense that it will truly move you. Like so many people my age, I first heard of the Romanov family through the animated film Anastasia. It wasn't until years later--when I was only just a teenager--that I began to understand the story behind the highly romanticized tale. I was horrified and intrigued. The year in question, we were watching a documentary in history class on Romanov imposters. I don't recall the details of which imposters were talked about, but I remember asking myself: "What would possess someone to feign their identity as a long lost member of the imperial family, who were long dead?" There is still a part of me that wonders what it was they were thinking. Financial gain. Mental illness. There were so many possibilities. 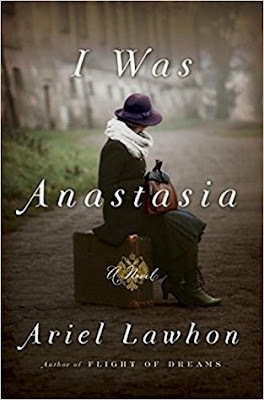 I Was Anastasia is a highly vivid historical fiction release that is told backwards, and in split narration. We begin at the end of the life of Anna Anderson, one of the most infamous faux Anastasia impersonators, and the way the story unfolds from their is unique and engrossing. "Sometimes bad ideas were so bad they looped right around until they became good ideas." Let me be honest: I love Maggie Stiefvater's writing and it pains me to give something by her such a low rating. I adore Stiefvater's work, her prose, the characters, etc. The Raven Cycle is one of the most magical YA series I have ever read and the relationship between Ronan and Adam is one of my all-time favourites. 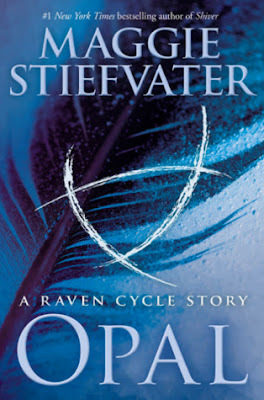 When I saw that Opal was, well, a thing, and read the brief premise of the 38 page story, I pounced on it. I want to make something very, very clear. I didn't hate Opal. Not in the least. I just found myself thinking, in the course of it, "Was this necessary?" Yes and no. As a fan, I always wanted to here more of these characters and Opal is someone, a dream creation come to life, who is just so intriguing. A lot of us wanted to hear more of her, get inside her head a little, see her interactions with Ronan and Adam. While Opal did give us a glimpse into this relationship, it just felt... awkward? This first thing you should know about The Cheerleaders is simple: it won't be what you're expecting. At. All. I am glad! I am even more happy with the fact that this was my first experience with Kara Thomas' writing--because The Cheerleaders is one of my favourites of the year. Dark, mysterious and poignant, it is the perfect read for fans of Megan Abbott and Abigail Haas. Thomas writes a tale so beautiful, I found myself emotional to let go of it once we reached a resolution and got our answers. Before I read the book, I saw a fellow reviewer call The Cheerleaders compulsive and am going to confirm its accuracy 100%. Thomas does more than write realistically and chilling, she knows how to lure her readers in to the point of addiction. This doesn't take long; I was hooked from its very first chapter and many readers will feel similarly. 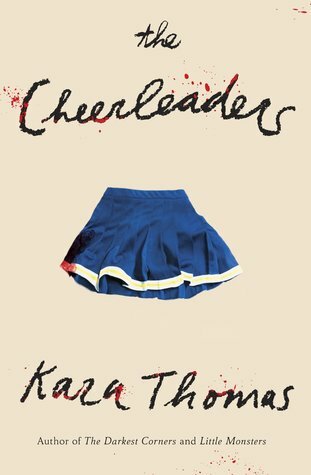 Based on the cover art and description, I wrongly thought that The Cheerleaders would be a bit more slasher film levels of creepy. The end product surprised me--it was smart and eerie in terms of definition. A damn good thriller that will grip you. It's wrapped up in the general mystery of what happened, a few years back, to the cheer-leading squad (which is now non-existent) and the unraveling of present days events--a healthy combination of mystery, tragedy and the general ups and downs of coming of age. It is also told in a split narration/timeline that adds a new layer of emotional depth to an already sensational, heartbreaking story. Emergency Contact was originally a cover buy. I added it to my TBR/Most Anticipated Reads of 2018 solely over its cute cover. Kidding. Mostly--although, the cover is what initially caught my eyes. I am a total sucker for coming of age stories set within that awkward just-out of high school age bracket. Choi captures the very essence of this age beautifully--crafting us a tale of friendship and romance; the connection and disconnect of family and much more. I am always appreciative towards YA novels that take on this task--it feels very genuine and Emergency Contact embraces that feeling. Ultimately, it's sweet and witty and still remains realistic to life. 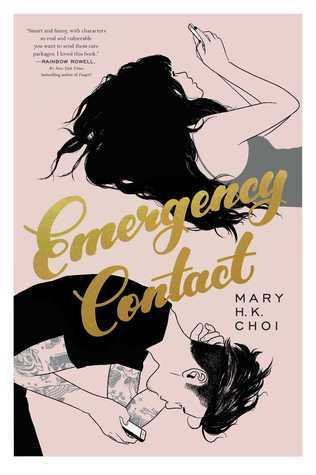 Emergency Contact is the sort of contemporary that won't necessarily blow your mind, but it will keep you warm and stick with you. It's a definite reread waiting to happen and highly enjoyable, even in the moments where it nearly trips over itself or puts its flaws on display. Fortunately, the flaws of the novel don't bring the story down in terms of quality; instead, it brings it down to earth and remains charming. If we're going to be picking one-worded reviews for novels, that's what this one would be: charming. Ah, Sandhya Menon just knows how to tug at my heart! I cannot recommend her work enough to fans of Jenny Han and Stephanie Perkins. Last year's When Dimple Met Rishi was such a fun read and I felt like Menon was only just getting started. Spoiler alert: she DEFINITELY was and brought on the fluffy, warm and fuzzies with her latest book. Right now, if you were to ask me which I preferred, I would flinch and then run and hide from the question because they are both so... fun. Menon's prose is just as sweet and to the point as it was in When Dimple Met Rishi, showcasing a very different, but still sweet, story. 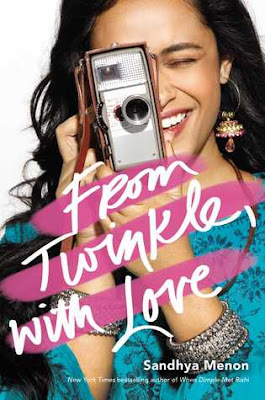 From Twinkle, with Love pulled me in from the start and I genuinely loved the characters we met throughout. I loved, loved, LOVED, the brief letters scattered throughout the novel. I feel like whereas When Dimple Met Rishi was a little more serious, but still quite lighthearted, From Twinkle, with Love, was a bit more soft and feel good. 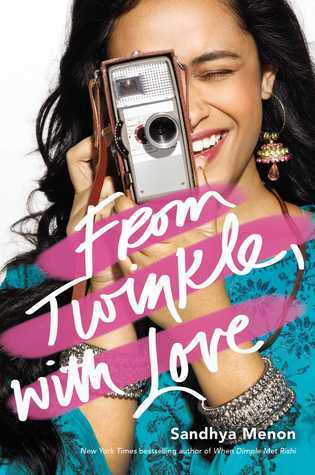 What I loved most about From Twinkle, with Love, was that the two main characters were exactly as you want them to be: passionate and alive, but still flawed teenagers. There were many moments in the book where I scoffed at their actions, and more than a few moments of secondhand embarrassment for them, and I loved it! "I believe our choices make our experiences and our worlds." Can we all take a moment to appreciate the fact that I did not explode when I finally got my hands on this book? I am shocked! I was beginning to think I'd never get the chance to sit back and read it. Then, I procrastinated a bit because I didn't want to say goodbye to the series. It was just too good! Nearly two years after its original publication, I finally read the highly anticipated conclusion to Josephine Angelini's vastly underrated Worldwalker series. And honestly? I'm a mess. I'm a pile of emotions.Witch's Pyre exceeded all of my expectations and I adored it. 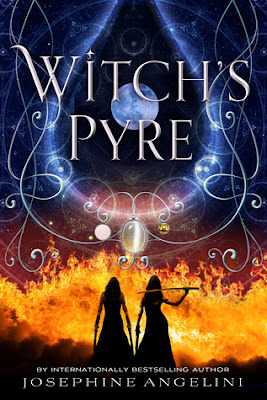 Like the previous two books in the trilogy, Witch's Pyre was intense and full of magical intrigue and highly addictive. Like the pyre itself, Witch's Pyre was a fiery sort of read that will absolutely leave readers breathless long after they flip to its final pages. As far as finales go, this was one of my favourites because it was packed with action and romance and friendship, as worlds collided and fates were sealed. I loved the worldbuilding once more and found myself in awe over how enthralling the plots and settings were. Angelini is BRILLIANT at tying things together and I loved nearly every inch of this book. I'll be honest: I was skeptical of this book when it was announced. I absolutely adored the original trilogy and was hesitant about Restore Me. In spite of my initial "eh" reaction to the continuation of the series, I had faith that Mafi wouldn't let the fans down and she truly didn't. I was mostly concerned that everything that was built up in the first three books would be pulled apart in the worst way possible. Plus, I had it in my mind that the previous book was the conclusion. It takes me a while to adjust to changes. But, at the end of the day, Restore Me isn't a change. It honors the beginning and end of the original run, expanding both the world and its characters; their relationships and the politics. 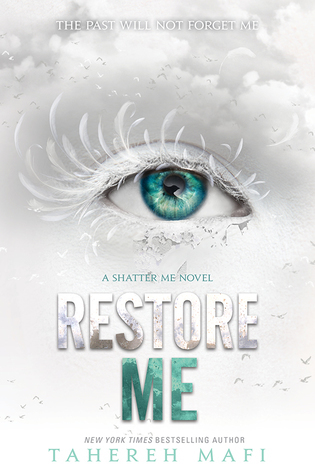 Restore Me makes the series richer in tone and detail and proves to be Mafi's best release to date. First things first, HOLY CRAP HER WRITING. It just keeps getting better. Pick up Shatter Me, reread the first three books, and then look at how much she has grown right there with the characters. I'm stunned. This was definitely one of my most anticipated reads of 2018 and one of the only books I literally could not put down, even if I wanted/needed to. This... wasn't for me. To put it simply? Not my cup of tea. I wanted to like The Regulars. So. Much. 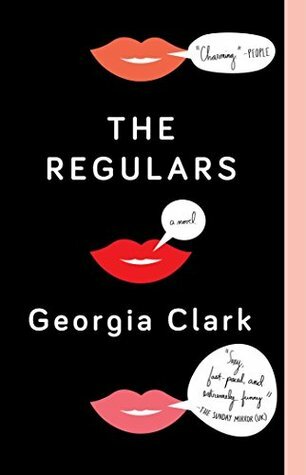 Because, the plot is utterly unique and magical, it relies on societies view of what makes someone beautiful and the lengths women will go to just to feel pretty; Georgia Clark's prose is great and everything about the novel had potential. The problem was that everything just fell short. While I did find myself relating to bits and pieces, highlighting various portions of the narration, I found everything else to just be missing something. 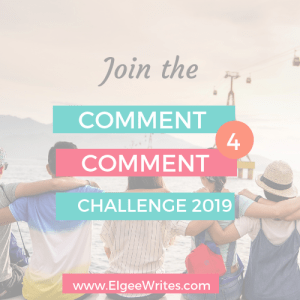 None of the characters are especially likable, not even in the unlikable way that circles back around to 'likable' and there were so many layers to The Regulars that bordered on problematic instead of social commentary or satire. Which felt sloppy and not very enjoyable. I'm not typically the type of person who has secondhand embarrassment in literature but there were so many moments in this book where I felt awkward about something. For example, trying not to spoil it, there's a scene with a, uh, trophy, that was--well, err... awkward. Further, a lot of the so-called feminism in The Regulars didn't quite feel like feminism and instead was just... out of place. It's easy to judge those in power over making difficult, if not impossible, choices. It's even easier to form your entire opinion on a single action of someone. As someone who's pretty heavily immersed in politics, but still quite young and not always fully aware, I will admit straight away that I judged James Comey during the presidential election of 2016. After all, so many of us did just the same. I don't know if it ever dawned on me how unfair it was to judge the former FBI director so harshly. What I do know for certain is that due to the outcome of said election, I didn't quite think of Comey as he was. Human. 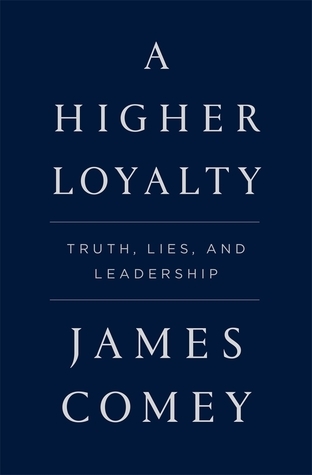 A Higher Loyalty is the perfect biography because it shows us the man; not he former FBI director. His questionable moves in 2016 remain but now the general public gets the not-so gentle reminder that James Comey is only as human as the rest of us. 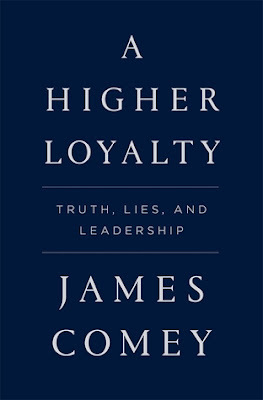 A Higher Loyalty explores James Comey's origins, what shaped him into the man he is today, flaws and all. It explores his passion for his job. The desire to do what he feels is right. His love of his wife and family. The little tragedies in his personal life. The ups and downs of his career; the rise and fall of his position as FBI director. As with anyone in the public eye, what we see is only a fraction of what is actually happening behind the scenes and Comey tries his damnedest to explain, and rationalize, his actions throughout the presented timeline. Don't let my two start rating lure you into a false comfort--this novel was deliciously evil and is the textbook definition of guilty pleasure. It's witty and biting, it's dark and disturbing, it's utterly stylish and blasé while hitting certain topics right on the nose. It is fun and vicious. 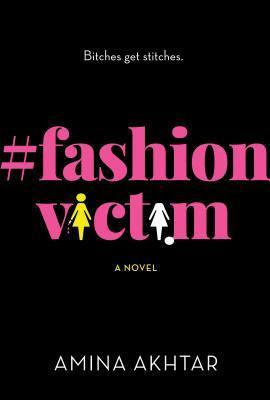 #FashionVictim is highly reminiscent of Gossip Girl: Psycho Killer and I love it all the more for this reason. The story begins at a Vogue-like office setting; paired with one deliriously messed up narrator, Anya, and her Blake Lively-esque co-worker, Sarah, who Anya not only wants to be BFFs with, but who she also--ahem--stalks. And this is only the beginning. At its core, the novel is about wishing for something more. Also high-fashion and murder. In other words: readers are in for a wildly absurd ride that they are either going to love or hate. Much like Anya's worship or kill tactics... there are no inbetweens for reader and #FashionVictim. There's something truly special about how Colleen Hoover writes love stories. 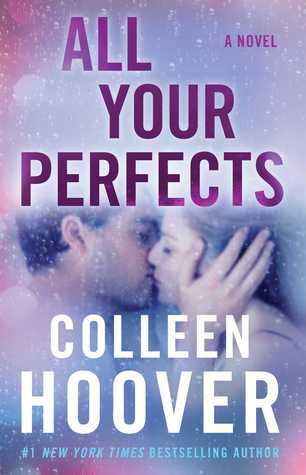 All Your Perfects is a definite show of this and reminds readers what makes her novels so beloved. We read to feel. Hoover is more than happy to oblige us in a story packed with intensity and emotion. I laughed, I cried, I swooned and I hoped. If anything is to be said about this particular release, it's this: keep tissues on hand and prepare yourself for every emotion possible. All Your Perfects is a book that will leave you wrecked in the best way possible. Hoover captivated me from the start of this one and I didn't give myself much of a chance to part with this book. It was nearly a read-in-one-sitting book. Even the weather seemed to fit the mood with All Your Perfects; it was sunny, then rainy, then back to sunny. For every high, there was a low--but there was always a bit of optimism found within the pages of All Your Perfects that reminds readers of the resilience of the human spirit. You guys know that Kendall Ryan is totally my girl. 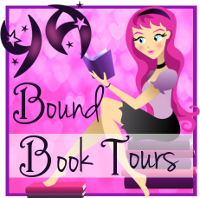 If you've been following my reviews over the last year, you already know that I adore Kendall Ryan's work and that Forbidden Desires has been one of my go-to romances since I first picked it up. While Tempting Little Tease has the signature of a good novel by Ryan--teasing, steamy--it is probably my least favourite in the series. This isn't to say that it's not a good read. I enjoyed it! It was entertaining, frothy and bubbled with the intimacies Kendall Ryan is a pro at portraying. I was entertained. I swooned multiple times. I just wasn't as attached to the coupling of Alessandra and Quinn, despite liking them both as individuals and together. Tempting Little Tease felt like it was missing something on some levels and that's a personal preference, not an attack on the story itself. I think what it is, is that the novel itself is pretty short. Readers are left wanting more and more from the stories. They're addictive. They're impossible to put down. You just can't stop. And when the story ends, you automatically want a dozen more novels--ASAP.